On Tuesday, Syrian dictator Bashar al-Assad launched an unprecedented and horrendous chemical weapons attack on civilians, including children and babies. No child of God should ever suffer such horror. 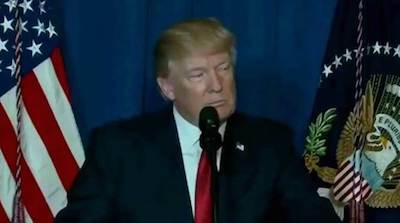 In response, President Trump ordered a targeted military strike on the airfield in Syria where the chemical attack was launched. It is vital to our national security to prevent and deter the use of chemical weapons. President Trump’s nominee to become the next Supreme Court Justice of the United States, Judge Neil Gorsuch, has been confirmed by the Senate! Judge Gorsuch is incredibly qualified and the ultimate example of a mainstream judge with a history of defending the Constitution. On Thursday, supporters gathered around the country to show their support for Judge Gorsuch and urge their senators to vote YES for Gorsuch. Gorsuch is slated to be sworn in early next week and this will finally bring the court back to full strength. President Trump told America’s builders that he’s committed to fix the failing infrastructure in the United States. He’s taking inventory of all the hurdles our builders face when trying to get to work. For example, it could take over 10 years to build a highway in America due to processing and paperwork; In the end it could be stopped by a vote. In February alone, America added almost 60,000 new construction jobs. President Trump ordered expedited environmental reviews for infrastructure, environmental, and energy projects all across the country. No longer will our builders have to wait years for approvals that never come. President Trump signed two executive orders that will set the stage for a great revival of American manufacturing. The first order will hold foreign importers accountable and make sure they aren’t exploiting any loopholes. The second order starts the first-ever comprehensive review of America’s trade deficits and all violations of trade rules that harm the United States and workers in our country. These measures will ensure that we put Americans first when it comes to trade, and protecting American jobs and American workers. 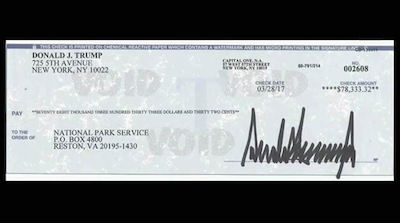 The National Park Service has cared for our parks since 1916, and the President is personally proud to contribute his first quarter salary to the important mission of the Park Service: preserving our country’s natural and cultural resources and values. 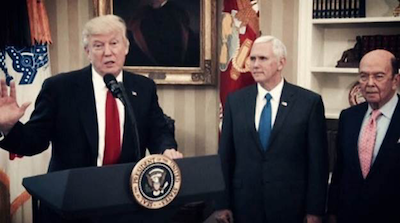 President Trump highlighted the importance of addressing the causes and improving the treatments for autism spectrum disorders (ASDs) this week. 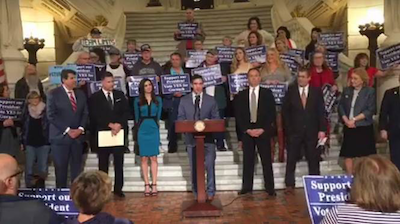 He also recognized the importance of identifying ASDs early in a child's life and understanding the obstacles faced by people living on the autism spectrum. That’s why President Trump proclaimed Sunday, April 2, 2017, as World Autism Awareness Day. 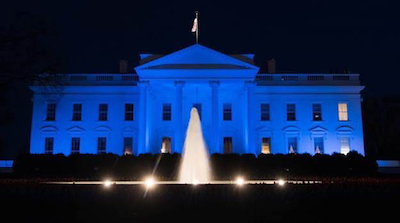 The President and First Lady lit up the White House in blue on Sunday to help raise awareness. 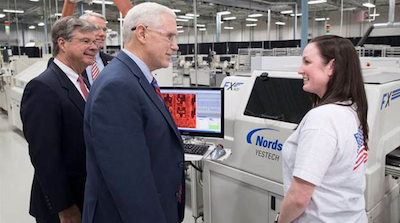 Vice President Pence visited Dynalab just outside of Columbus, Ohio, to talk with small-business leaders and employees about President Trump’s vision for America. Dynalab is a true American manufacturing success story. Since 1981, Dynalab has been doing what our country does best – developing big ideas and bringing them to life on the factory floor. Thanks to President Trump’s decisive action and leadership, companies like Dynalab are on track to be stronger than ever. 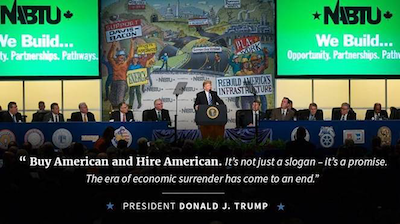 President Trump works for the American people. Whether you're a Democrat, a Republican, or belong to no party at all, you are an American and President Trump is here to represent you and your family.